A big, hearty thanks to the lovely Holly over at The Book Harbinger for bringing this to my attention. 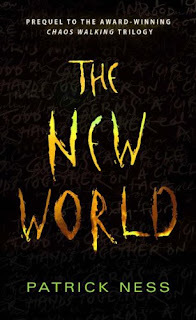 Patrick Ness is one of the best dystopian voices out there and if you haven't read his incredible Chaos Walking series yet, well, why not?! 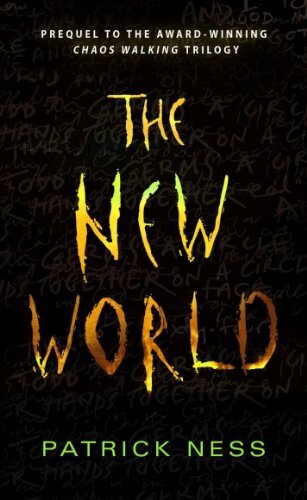 It seems after the release of his third and final book, Monsters of Men (which I still have yet to read, but am dying to do so), Patrick Ness decided to gift his readers with a short story from Viola's POV set before she crashes (literally) into Todd Hewitt's world, entitled The New World. It's short -- but it's chock full of all the good things we've come to know and love about Patrick Ness' addictive writing. So be sure to head over and download it for free while you can! You are welcome Michelle. I just found out about a week ago. We definitely need to spread the word. I love everything about it too.